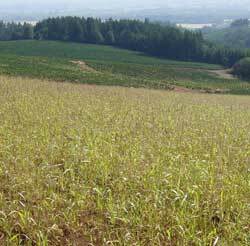 Erosion Control on Christmas Tree Farms - Part 2 - Interview with Bob Schaefer. Real Christmas trees absorb carbon dioxide and other gasses and emit fresh oxygen. 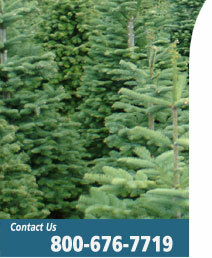 Every acre of Christmas trees grown produces the daily oxygen requirement for 18 people. 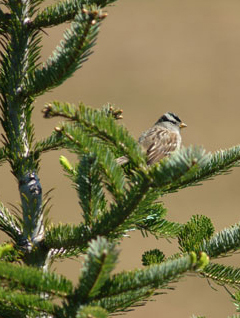 Farms that grow Christmas trees stabilize soil, protect water supplies and provide refuge for wildlife while creating scenic green belts. Often Christmas trees are grown on soil that won't support other crops. Real Christmas trees are grown on farms just like any other crop making them a renewable resource. Artificial trees are a petroleum-based product manufactured primarily in Chinese factories. The average family uses an artificial tree for only six to nine years before throwing it away, where it will remain in a landfill for centuries after disposal. According to The Sierra Club, “PVC products are dangerous to our health and the environment from start to finish -- in the factory, at home, and in the trash -- releasing poisonous chemicals linked to cancer and birth defects.” They are also partly made out of lead for the stand and limbs. Many people are afraid of real trees catching fire but artificial trees can catch fire as well. However the smoke produced from PVC is much worse than that created by a real tree. To learn more about recycling programs in your community, visit the EARTH 911 Web site @ www.earth911.org. An integrated pest management program and an erosion control plan have been in place since the early 1980s at Noble Mountain Tree Farm. 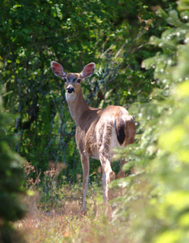 This has been an important part of our company’s efforts to be true “stewards” of the land and not only maintain, but improve our sustainability “footprint”. Between rotations we not only rest our soil, but improve it by adding appropriate nutrients and planting Sudan grass to add several tons per acre of humus (green manure) building material back into the soil. This helps significantly to keep erosion from happening, in addition to its soil building benefits. 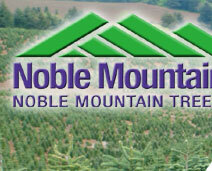 Noble Mountain Tree Farm developed a straw water bar erosion control system in the 1980s which, when erosion measurements were taken by the state Agricultural Stabilization and Conservation Service, showed no appreciable erosion on even the steepest slopes planted. Over 200 tons per year of grass straw is placed throughout the farm to eradicate erosion potential. An additional benefit is that residual seed in the straw germinates and provides not only additional help with erosion control but also cover and food for small birds and animals.